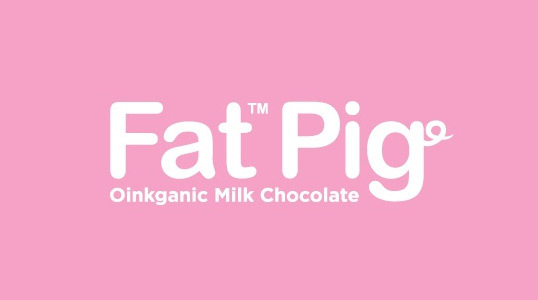 “Fat Pig is a totally organic milk chocolate bar and is currently available in one flavor: delicious. It has none of the bitter aftertaste of regular milk chocolate nor is it cloyingly sweet: it’s just pure, creamy excess. 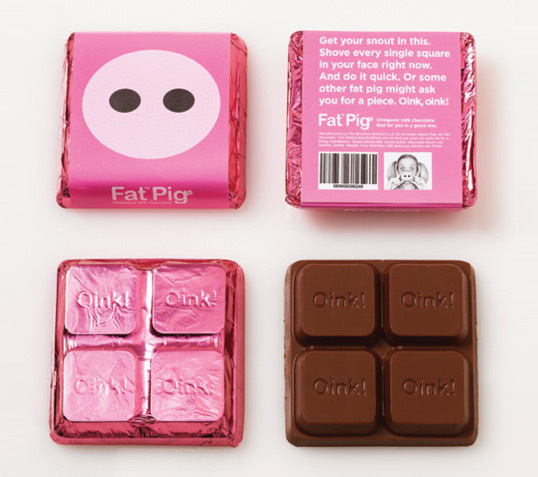 It’s already the favorite chocolate of Contagious Magazine. I want to pig it! This is funny. Great ad, very clever. I love this packaging, and think that is a great design. 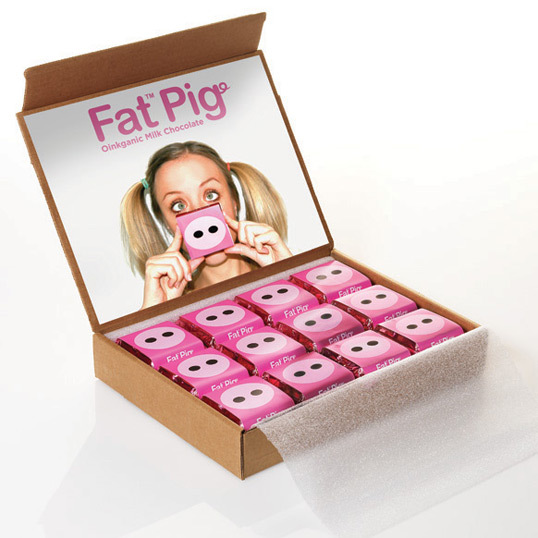 It really makes the product unique and stand out from other chocolate competitors. Looks like it was designed by a pro-ana chick. looks like it was designed for a school project. Oh man I love these!! So cute and hilarious! Is that Amanda Bynes advertising for this? Crazy. Where’s that girl been since the Amanda Bynes show? Just hook it to my veins!!!! People use Arial outside of Word and Photoshop? Really a stand-out package. Unfortunately current events dictate a pass on the product. A nice, clean, pleasant design and it’s quite funny. It would make a great gift for my lady, she could laugh with it! 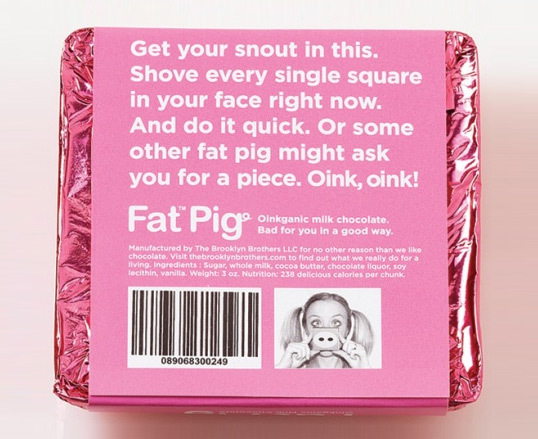 I don’t get it what does this chocolate have to do with pork?